As you know, I went to a Vintage Fair yesterday & I managed to pick up 2 wonderful pieces. The fair is held once a month, every month & there is one stall in particular that I adore. It is slightly less vintage than the others but it has a wonderful boho vibe to it which I love. A lot of the pieces are from the 70’s & are very ‘hippy’ inspired, you see why it is my favourite? A very eclectic stall indeed & I always buy some wonderful pieces from there. First up is this wonderful dip hem long vest. I love the style & design of this piece, I can’t wait to wear it during the summer, it would look amazing with a kimono don’t you think? I also will add a pop of colour with my accessories to brighten it up a little. Dip hem lines are right on trend so I knew I had to have this lovely dress. My next item is this beautiful patterned waistcoat. I adore the patterned fabrics & is it so light & floaty, perfect for creating a boho look. It is a big size but it still works great as I love the oversize fit look. I think it will look lovely with a maxi dress or over a white dress during the summer months. This is another boho inspired piece that I knew I just had to have. It reminds me a lot of something I would find on Free People, which I think is what attracted me to it in the first place. I just can’t wait for next months fair & the best thing is that I have 2 vintage fairs to attend next month, so exciting! 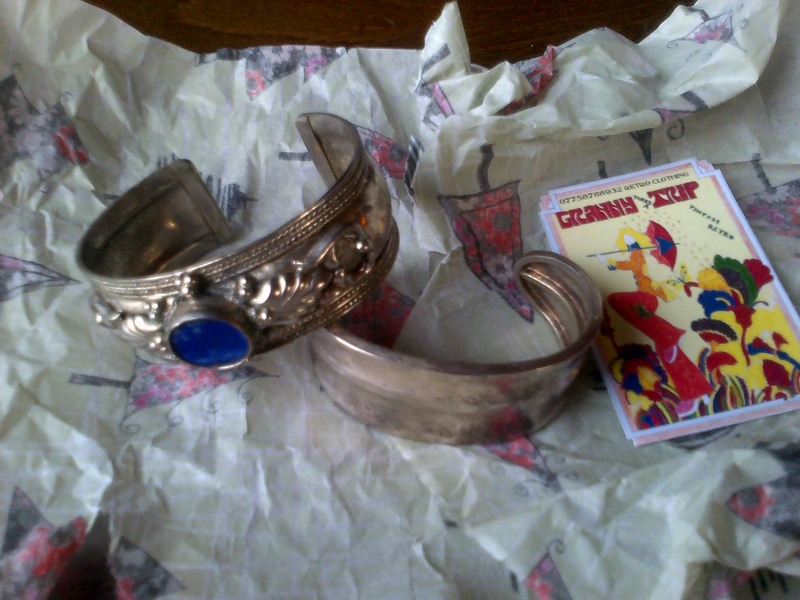 These are the amazing vintage cuffs I picked up from the same stall at last months fair. Beautiful, I think you will agree? Next Post I Need This Top In My Life……..Now! Thank you 🙂 I love it so much!